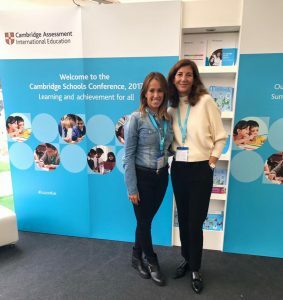 Some members of our languages department together with other representatives of our RC schools are attending the Cambridge Schools Conferences in UK which are great opportunity for teachers and school leaders from different countries to share knowledge and discuss common challenges in education. The chosen theme is “learning and achievement for all”, following new trends in education in order to help every student unlock their potential. Miss Monica I. and Miss Rebeca L. are attending different practical breakout sessions and meeting education leaders and publishers which will enhance Highlands los Fresnos bilinguism. Highlands pride!